Set on 20 rolling acres in leafy Warrandyte, you’ll love our stunning olive grove, citrus orchard, kitchen garden & Mediterranean landscaping. In our villa-like restaurant, venue and providore you’ll appreciate our estate-grown produce and our house-made pastas, breads and preserves. Bazoo Bar & Lounge provides a modern/stylish decor with an open lounge area and plenty of couches. The large decking area includes a heated undercover marquee and views of Mt Dandenong. Its a great place for laid back drinks in a casual setting week nights and Sunday afternoons. If you’re looking for a great cafe to enjoy breakfast, lunch, a sweet snack or a great coffee then Bekendales is the place to be. Located on the Corner of Main Street and Lacey Street this funky little cafe serves up a delightful meal for any time of the day. Open every day, closes 3pm. Eat like a champion at Meat Empire, a Greek eatery in Croydon radiating the glory of brave warriors from an era gone by through hearty, Greek inspired bites. Tucked into the sunny Main Street, Meat Empire emanates a welcoming vibe, luring in those wandering by with a stream of tantalising smells, while cheery friends meet and mingle at a street side table. Offering a mix of traditional Greek favourites and street food snacks, diners are met with a menu of mouth-watering options alongside beers, wine by the glass and icy ciders. Cadams Wine Bar is located at McAdams Square opposite Luther College. You will find live bands regularly playing to a sophisticated older crowd. You can dance the night away or enjoy the back room and have a cocktail with friends. The 400 Gradi restaurant group is the creation of chef and V.P.N. Principal Johnny Di Francesco, whose family hail from Naples in Southern coastal Italy – the home of ‘world’s best’ pizza. Gradi’s menu is a showcase of the food of Naples. Universally, Naples is recognized as the home of the wood-fire pizza – the original being named after Queen Margherita of Italy. American-style burgers with toasted sweet buns, thin and tender Wagyu beef patties, home made pickles and mayonnaise, ripe tomatoes and a smear of mustard. Not forgetting tasty chips, cold beer and thick shakes with awesome quality vanilla ice cream and home made syrups. A visit to Hunter & Barrel is a celebration of great food, drinks and friends. Each element of the space, from the coal pits to the plateware, combines to create a unique and exciting dining experience. Seasonal offerings meet coal, char, smoke and fire. The menu is a product of the land, consisting only of fresh, quality meats & seasonal fresh produce. Visit Kofi Beans and discover a Moroccan influenced oasis in Suburban Melbourne. Conveniently located in the middle of Main Street Croydon, Kofi Beans delivers an exotic slice of the Middle East served by genuinely friendly staff in an ambient and warm atmosphere. The Rob Dolan Wines Cellar Door is located at the winery in South Warrandyte, just 30 minutes from Melbourne’s CBD. The intimate space has been incorporated into the properties’ original Farmhouse which is set on over 100 acres of rolling farmland and vineyard. A selection of local produce including Stone and Crow Cheese is available seven days a week; these innovative and experimental cheeses are matured at the winery by Cheesemaker and Founder Jack Holman. Keep an eye out for special Events and the outdoor Cinema in the summer. 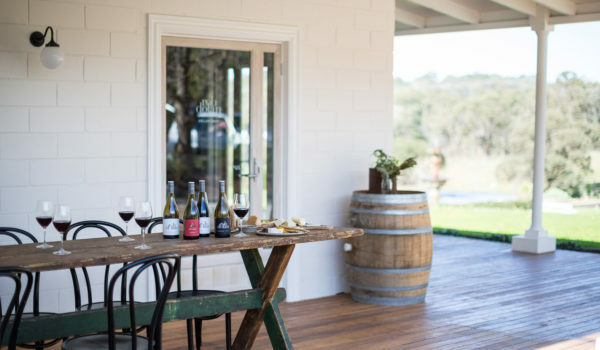 From the team behind Bekendales and The Public Brewery, The Cellar Door is dedicated to showcasing the food and wine of the Yarra Valley region complete with a rooftop vegetable garden and bar. Serving lunch and dinner Monday to Friday and breakfast, lunch and dinner on weekends. Tuesday to Friday dinners and lunch and dinner on weekends are served from Melbourne’s best Food Truck vendors. Come and enjoy a different culinary experience nearly every day of the week in our relaxed and friendly environment. Great Martini’s. The Lower Deck Cafe is the vibrant and classy ‘new kid on the block’ enhancing the great cafe culture that’s booming in Croydon Main St area. Find it at the end of the walkway between Collins Booksellers and Westpac Bank.Soak up the atmosphere while indulging in fresh local produce. The Public Brewery is a landmark micro-brewery located in the leafy eastern suburbs of Melbourne. The Public Brewery is home to a boutique bottle and retail shop and a bar and dining area which opens out to a paved beer garden complete with a green grassy knoll.